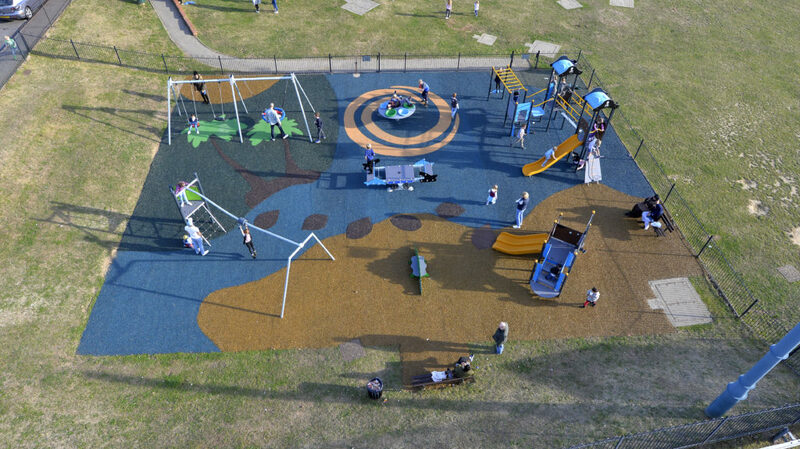 Many people think of play surfacing as a rather boring, but essential part of installing a new play area – PlaySmart disagree and think introducing a pattern or theme through your surfacing is a great way to get the most from an area. Detail can be added in both wet pour and mulch surfaces to add interest to your surface. In JungleMulch we find the larger piece sizes lend themselves well to bold, stand out designs with clean lines. With a smaller granule used for wet pour, anything is possible including introducing more complex designs like logos. Alternatively, you can use the surface to give an overall theme to the area and get really creative! If you’d like advice on the best surfacing solution for your area, please feel free to get in touch! 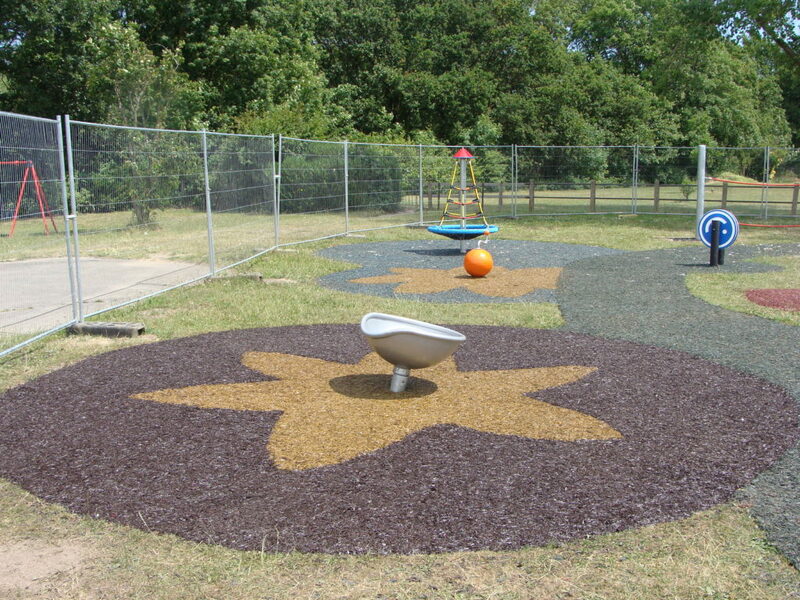 You can reach our experienced team directly on 01564 742 811 to speak about patterned play surfaces. Why not take a look at our guide on How to Choose a Safety Surface? The guide includes further information about patterned play surfaces. Simply click on the image below to get your free copy.